Acquired: Signed as a free agent on May 28, 2017. 2018: In seven games (six starts), Moore finished with nine defensive tackles and two quarterback sacks. Moore finished the season on the six-game injured list. 2017: In five games (two starts), Moore finished with eight defensive tackles, including two quarterback sacks. Moore finished the season on the club’s practice roster. 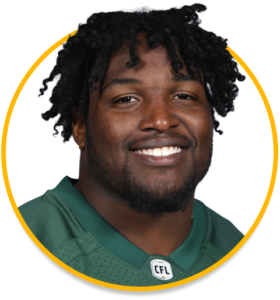 2016: (Ottawa) Moore played eight games for the RedBlacks and recorded ten tackles, two sacks, and one forced fumble. College: In 30 games for the Cavaliers, Moore recorded 108 tackles and 11 sacks.